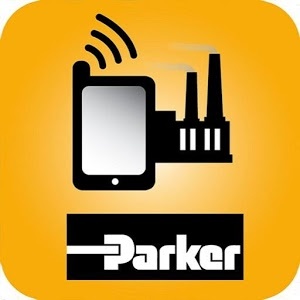 The Parker HoseFinder mobile application allows you to search the entire catalog of products from Parker’s HPD, IHP and PFD divisions quickly and efficiently. Narrow down precisely what you need, or browse thousands of products by category. 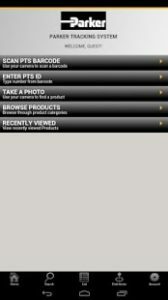 It’s like a catalog in your pocket only better! 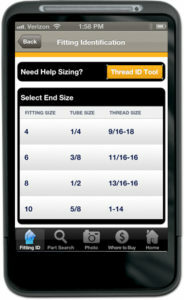 The Parker FittingFinder app helps you easily locate the part number for the fitting you need. All at your fingertips using the touchscreen on your smart phone or tablet, or a click of the mouse. And, now, it also includes Competitive Interchange. 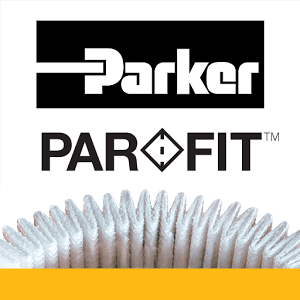 Need a Parker part number but only have a part number from another company? No problem. 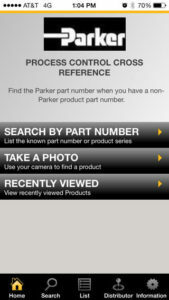 Just enter all or part of the part number you have into this app to find the Parker part number for some of our most popular fittings, valves, regulators and flow meters. Parker’s valve crossover application is a web-based application which allows users to enter a competitor name and number or Parker Legacy part number to find a potential cross-reference to a current Parker replacement part. Parker currently have over 90,000 part numbers and are adding more every day. Click on the below link to start your search today. 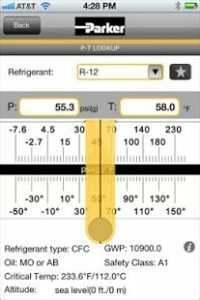 The ChillMaster P-T Chart allows quick pressure to temperature conversion by providing essential refrigerant data to mobile devices. More than 70 refrigerants (traditional and natural) are featured in PT Chart. Parker’s Electromechanical Automation Division offers the Parker Remote Manager mobile application for the Xpress and Parker Factory Display products. Parker is delivering “Information Anywhere” to your mobile phone and tablet! Requires Xpress and PFD versions 3.0 and higher.